How Much Energy Does Indoor Pot Really Use? Last week, we posted “The Big Grow Debate: Which Is Better, Indoor or Outdoor Pot?” In that article, our science editor Sirius J critiqued the research of Evan Mills who estimates that indoor growers consume 1 percent of the nation’s total energy supply. Below, read the original article that Sirius J critiqued, as well as Evan Mills’ response and a Sirius J. rebuttal. In the early 1980s, the objective of Ronald Reagan’s War on Drugs was the complete eradication of the cannabis plant. Marijuana-seeking helicopters forced growers to cultivate deep in the hills, where it was difficult to grow and tend the plants. Outdoor guerrilla growers were often lucky to harvest at all, and the resulting crop wasn’t always the best. Other growers took their craft indoors to avoid prying choppers. These indoor growers quickly improved their techniques and “green bud” was born, creating the new standard of cannabis that we know today. Unfortunately, indoor production consumes a tremendous amount of power. A study by scientist Evan Mills, published in the Journal of Energy Policy in 2011, put that number at 1 percent of the nation’s total energy supply, equal to the power consumption of two million average homes and valued at $5 billion a year. This would be like having three million additional cars on the road, belching out carbon dioxide and warming our planet. 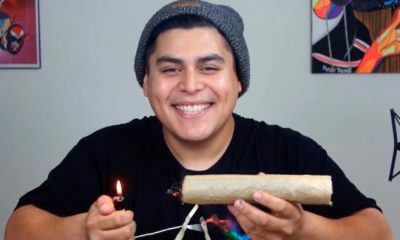 It means that every joint you smoke requires the same amount of energy to produce as leaving a 100-watt light bulb on for 17 hours, or driving a 44-mile-per-gallon vehicle for 15 miles. This energy use drives up the cost of cannabis. Today’s commercially produced indoor cannabis relies mostly on industrial fertilizers and pesticides to control the pests that rapidly flourish in enclosed monocultures. Growing under the sun provides a natural, bio-diverse environment that keeps these pests largely at bay due to natural competition. Also, synthetic fertilizer or pesticide residues can be toxic when smoked or concentrated. Indoor cultivation has also played a role in the evolution of the plant, since indoor growers tend to favor indica-dominant strains with shorter statures and flowering times. For indoor growers, fast-flowering strains mean productive, profitable gardens that can keep up with their overhead. While medical patients may appreciate these indicas, the recreational consumer tends to prefer the cerebral and creative effects that sativa-dominant crosses have. Most indoor gardens can’t house tall sativas, but with outdoor growers, the sky’s limit. Full-season cannabis plants grow to majestic heights of up to 20 feet, with astonishing yields that keep teams of harvesters busy for days. Outdoor cannabis is better because the sun’s natural light spectrum produces more cannabinoids and terpenes, increasing the plant’s flavor and potency — the two qualities every cannabis aficionado values. A Washington State–certified lab compared 2,700 samples and found that sun-grown cannabis was at least 1 percent higher in THC than indoor plants; likewise, terpene response is best under the sun. And when light-deprivation techniques are used, outdoor cannabis delivers the highest quality, regardless of whether it’s sativa or indica. Jeremy Moberg is the president of Cannasol Farms in Eastern Washington. The outdoor gardens of Cannasol Farms in eastern Washington. How Much Electricity Do Indoor Plants Really Consume? Jeremy Moberg cites the infamous study by Evan Mills, which claims that indoor cannabis cultivation releases 3,000 pounds of carbon dioxide into the atmosphere per every pound of cannabis produced. This value includes nearly everything required to grow, process and transport high-grade indoor cannabis on a medium to large scale, and when compared with other consumer goods, it makes indoor cannabis look like one of the least environmentally friendly products around. By contrast, producing a personal computer releases approximately 70 pounds of CO2; producing a pound of red meat releases 22 pounds; and producing a pound of chicken releases only 6. In the end, Mills' number is a rough estimate, but at least it’s still better than nothing, right? However, we decided to take a deeper look at his analysis and discovered some big inconsistencies. Mills’ study includes the emissions generated by transportation, and it factors in all the different electricity sources that growers might possibly use: whether they plug into the grid in Canada or the United States, whether they use a diesel or gas generator, and so on. To calculate average power consumption, Mills proposes a theoretical growroom, but he makes some gross overestimates when it comes to ventilation, CO2 production, heating and dehumidification. For example, a significant part of his electricity use is from circulating fans. Cultivation gurus have always urged growers to use a few fans to create air movement and strengthen stalks. But while a few fans in a growroom of 30 to 40 plants makes perfect sense and is worth the slight increase in utility bills, Mills’ figure of one 18-inch fan for every four plants is way too much—and just this one discrepancy causes a significant increase in the energy use of his theoretical growroom. Even with this correction, a fully equipped indoor grow (with its own independent air-conditioning and ventilation) still consumes 4,900 kilowatt-hours per year for every four plants. In other words, continuously harvesting four plants under a single 1,000-watt light consumes the same amount of power per year as 11 new refrigerators. However, recalculating the electricity use of an average growroom using Mills’ template cuts his estimated total emissions nearly in half, from 3,000 pounds of CO2 per pound of cannabis to 1,571 pounds. So how does cannabis really compare to other goods under this scenario? Producing a steak dinner with potatoes and veggies releases 16 pounds of CO2 into the atmosphere; producing enough pot for one joint releases 3.4. Keep in mind that Mills’ estimate for total emissions includes the CO2 released by transporting the pot to its eventual consumers, which he assumes is done entirely by vehicles carrying an average of 5 kilograms at a time. His calculations for transport by car or van lead to the conclusion that delivering all of the cannabis produced in the United States each year releases 355 pounds of CO2 per pound of product—a very significant part of the total emissions. But is Mills so naïve that he doesn’t know that the US Postal Service and Federal Express are actually the primary carriers of cannabis across the country? In fact, the USPS is quite environmentally friendly, releasing an average of 0.8 pounds of CO2 per pound of any package delivered, or 443 times less CO2 than driving 10 pounds of pot in a car that gets 22 miles to the gallon. So indoor cultivation almost certainly doesn’t pollute the atmosphere anywhere near as much as Mills’ study has led people to believe. Even so, there’s no doubt in anyone’s mind that outdoor cultivation requires only a fraction of the energy—and produces only a fraction of the carbon emissions—that indoor cultivation does. One way or another, the problem lies with the energy companies that have built their businesses around these contaminating fossil fuels—not with the consumers who plug in. Evan Mills, a senior scientist for California’s Lawrence Berkeley National Laboratory, who examined the energy use associated with indoor grows, responds to Sirius J.
Sirius J’s comments contain several errors of fact and misinterpretations of the referenced study. Details aside, it would be constructive for High Times to meet the energy question with proactive curiosity and a desire to pinpoint best practices regarding energy and environment. Clearly much more needs to be done. Whether more research would validate my exact findings or find the numbers too low or two high by a factor of two or whatever, the qualitative implications would be the same: this is an underattended issue that now deserves more attention. Meanwhile, nothing provided in the High Times articles supports the statement that the original analysis is "wildly inflated". The 19 kWh/GB sound bite quoted in the first blurb is a completely fabricated number from coal-industry-funded crackpots, of all things, and was debunked more than two years ago (see, for example http://thinkprogress.org/climate/2013/08/25/2518361/iphone-electricity-refrigerator/). This is only the latest in a series of “analyses” by a group that has been repeatedly discredited repeatedly for a decade and a half. It would have been best if High Times fact-checkers had caught this. The quoted 1500 TWh/year for the “tech industry” is way off. The entire national electricity use for all sectors is only twice that number. Data centers (which is perhaps what they are trying to describe) are about 1/20th of that number. The published greenhouse-gas emissions number is 4,600 lbs. (source here), not 3,000, as quoted by Sirius J, which is from a preliminary working paper. While my analysis includes many contributing factors, it certainly does not include "nearly everything required to grow, process and transport" indoor cannabis. In particular, it does not even capture the full picture, e.g., embodied energy in fertilizers, insecticides, energy associated with water production and handling, interstate transportation, creating extracts, downstream process energy for making extracts or edibles, building materials, etc. The study states that indoor cannabis represents about 1 percent of US electricity consumption, not energy consumption (as stated by Sirius J) which would include direct uses of oil, gas, etc. Big difference. The factoring in “all the different electricity sources” is not a problem, as implied in Sirius’ first missive. My analysis properly estimates the median situation (blend of the various ways electricity is generated around the US). This is the only responsible way of calculating a representative weighted-average electric carbon footprint for the country. Anything else would bias the result up (e.g. 100 percent diesel) or down (e.g. 100 percent renewable), and would defeat the purpose of the analysis. For example, if you look at the fully off-grid diesel-powered producers, the footprint is 50 percent higher than US average (300 percent higher than using California’s relatively clean electric grid). That said, subsetment analyses do point the way to particularly low-hanging fruit in terms of carbon emissions reduction potential. Vehicle use represents only 12% of the total carbon footprint shown in my analysis (this is not a “very significant” part of the total, as Sirius states). More importantly, irrespective of how the product may be shipped, one must count all vehicle miles associated with production and delivery to point of shipment, as well as consumer travel at the retail end of the value chain. Numbers will of course vary widely, but handicapping the analysis to include only the shipping stage is misleading and overlooks a lot of associated transportation energy. Some broader perspective is important. Without debating what portion of production goes to medical vs. recreational use, the sad fact is that the US uses twice as much electricity and spends six times more for indoor cannabis than for all other pharmaceuticals combined. In any case, as noted above, both need to be addressed (not just the relatively large one). Aside from what the numbers do or don’t say, it’s not constructive to deflect attention away from one legitimate problem to an ostensibly bigger one. There is no one cause of climate change, and thus no one solution. We need to find emissions reductions anywhere and everywhere we can. It is not a zero sum situation. Cannabis is a rare “sector” where energy efficiency has sadly never been a serious focus – it is arguably four decades behind the rest of the economy when it comes to getting smart about energy using technology. Many are waiting to see an industry more forthcoming about its carbon footprint and one that signals more interest in managing it and raising consumer awareness. HIGH TIMES has an opportunity to become part of that process. To imply that the problem sits solely with the energy companies (and the fuels they choose to make electricity) surely addresses only half the problem. Incumbent on media in particular is careful reading of their source documents and fact-checking that readers expect. Touché, but don’t get ahead of yourself, Evan Mills; you may be the energy expert, but don’t think for a second you know more about cannabis than HIGH TIMES and its associates. To your credit, we did not publish the exact reasoning for how I re-interpreted your calculations for the energy use in a cannabis growroom. Without delving into the energy usage entailed in transportation, fertilizer usage, pesticide usage or any other extraneous energy expenses for cannabis production, I would like to simply look at the electricity usage of a cannabis growroom. After all, your extravagant representation of electrical usage is what allowed your peer-reviewed analysis to gain so much press, correct? I also will not address your additional “corrections” to comparisons I made between the carbon emissions from smoking a joint to those of sending a text message or eating a steak dinner, as these were simply speaking points and are relatively inconsequential. In order to illustrate our analysis more in depth, we’ll simply list the items in Table 6 of your study “Energy Up in Smoke, The Carbon Footprint of Indoor Cannabis Production,” and tell you exactly where the overestimations lie. Additionally, I will show you how less cannabis than you think is cultivated indoors, another overestimation that resulted in your inflated numbers. We hope you that the information I will provide herein serves you well for the next paper you publish, which we hope more accurately represents the true energy usage of the cannabis industry. Your power estimates concerning high-pressure sodium lamps, metal halide lamps, ballast losses, motorized rail motion and controllers are all correct, though it may be worth noting that most growers do not use motorized rails. Power estimates for luminaire fans, main room supply fans, exhaust fans and ventilation fans are also all correct. When it comes to the circulating fans, you overshot it. One 18’’ fan for every four plants is an outrageous amount of fans. If you’ve ever been in a large growroom, you would know that there is simply not enough room to have one 18” fan for every four plants. In order to provide adequate air movement growers can use large ceiling or standing fans that have more reach. Another biggie in the ventilation section is dehumidification. A closed growroom, that does not draw air in from the outside, would indeed require both dehumidification and carbon dioxide supplementation. But it seems your theoretical growroom needs all of this, plus 60 W worth of ventilation for constant air exchanges. Most growers do whatever they can to lower their bills; they don’t spend money on two utilities that simply counteract each other. Now we’ve arrived at the most interesting line item in the table: space heat. Growrooms in cold climates may require space heat at night when temperatures dip below 40 °F, but an intelligent grower would simply run their lights at night. That’s right, running grow lights at night gets rid of most of the need for space heat at night and significantly lightens the burden on air-conditioning during the day. While a small-time grower in an illegal state might turn their lights on during the day to avoid police FLIR cameras, legitimate large-scale medical operations don’t have a care in the world about what their heat signatures look like at night if a helicopter flies by. Furthermore, running lights at night creates less strain on the electrical grid because demand is lower than during the day. The next group of items on your list deals with carbon dioxide supplementation, which you assume happens solely through propane combustion and that 100 percent of indoor growers supplement with CO2. Your calculations show that this method of supplementation releases moisture and heat, which requires compensation for by the air-conditioner and dehumidifier. Propane combustion is indeed the preferred method of carbon dioxide supplementation for large indoor grow operation, but only for ease of use. Many modern grow operations, in fact, supplement with CO2 as a pressurized liquid, a method that does not release humidity or heat and, therefore, does not cause an additional load on the dehumidifier (if the grower even uses one) or the air-conditioner. It’s worth noting that countless growers don’t even bother to supplement with carbon dioxide due to fully adequate ventilation, and because of the fact that carbon dioxide supplementation only increases vegetative growth, not cannabinoid expression, and therefore does not actually translate to an increase in quality. Furthermore, cannabis plants that grow in a CO2-enriched environment can tolerate higher temperatures up to 95 °F, a fact growers take advantage of for increased growth rates and a lesser load on their air-conditioner. After that, your estimates regarding water heating, pumping, and drying are all correct. Any corrections I would have made regarding air-conditioning I have already mentioned. The title of the article in which I analyzed your study was “Indoor vs. Outdoor.” Returning to this theme, let’s look at what was perhaps the most overdrawn assumption in your peer-reviewed paper: 33 percent of cannabis is grown indoors. Starting with Jon Gettman’s value for the total US production in 2001, you used data on increases in cannabis consumption to come up with an estimate for the total US production as of one decade later. Here’s where it gets interesting: in order to calculate the “indoor share of total production,” you looked at the average THC content of outdoor cannabis (7.5 percent THC) and the average THC content of indoor cannabis (15 percent) and compared these two numbers to the average potency of all the cannabis in the US in 2010 according to the U.S. Office of Drug Control Policy. Mathematically, you calculated that 33.3 percent of cannabis must be grown indoors, and 67.7 percent must be grown outdoors. Using average THC concentrations of dry buds to estimate the ratio of indoor to outdoor cannabis in the entire nation demonstrates a lack of understanding of the cannabis plant. Cannabinoid expression in cannabis is primarily controlled by genetics, and only secondarily controlled by environmental factors. Cannabis grown outdoors can be just as potent as grown indoors, and some of the most potent cannabis that ever was, and ever will be, grows outdoors under the pure sunshine. If you decide to rework this data, just go back to the work of Jon Gettman (he does good work, that’s why HIGH TIMES hired him to be our cannabis policy director). Preliminary data of his published online shows us that the indoor share of cannabis production is closer to 12 percent, not 33.3 percent. You also say that “some broader perspective is important,” and point to the fact that the cannabis industry uses around 6 times as much energy as the entire domestic pharmaceutical industry. Whether or not you use your inflated value of energy use, or a more conservative one, nothing will prevent the fact that cannabis uses more energy than pharmaceuticals. But how do they do it? In the reference you cite, a graph put the electricity usage of the domestic pharmaceutical industry at around 11,000 GWh per year in 2002. In that year alone, more than 10,000 people died from prescription drug overdoses, and since then that number has more than doubled. The fact is that nearly 40 percent of the drugs Americans take are manufactured and prepared overseas, and over 80% of active pharmaceutical ingredients originate overseas for preparation here. The energy usage of the cannabis industry cannot be compared to the apparent energy usage of the pharmaceutical industry because most of those drugs come from China and India, whereas the weed HIGH TIMES advocates for originates right here in the US. Mr. Mills, please do not let your bias against the cannabis industry warp your interpretation of reality. The media has taken your warped image as fact, and that has created one big mess for those of us that are fighting daily to maintain and heighten the image of a plant that has been wrongfully criticized over nothing for over a century. Cannabis helps many suffering patients in need of relief and, as a recreational substance, it has the potential to reduce the harms of alcohol and other drugs of abuse that do cause significant harm. Cultivators have learned to grow indoors because prohibition forced them to, but legalization will reduce the carbon footprint as the industry evolves and is allowed to flourish in the open. This debate will no doubt continue on for months or even years, but with each passing day cannabis growers will learn to use less energy, and nationwide legalization will become closer to reality, driving these outdated energy analyses closer and closer to obsolescence.